Powerstar Pawan Kalyan is currently busy his most awaited action entertainer, Sardaar Gabbar Singh. 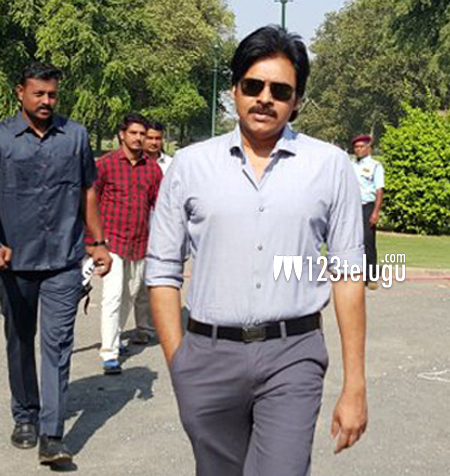 The film’s shooting is going on in Hyderabad and Pawan reportedly took a small break and left for Singapore. Meanwhile, there has been an immense buzz surrounding Pawan’s next project over the past few weeks. And here’s the much anticipated update. As per our close sources, Pawan has finally given his green signal to SJ Surya, the director of his 2001 blockbuster Khushi and the 2010 film Komaram Puli. Apparently, Pawan told Surya to wind up the pre-production at the earliest and also commence the project by April. Sources further say that Pawan’s close friend and Sardaar’s producer Sharrath Marar will produce the Pawan-SJ Surya film.